My name is YYYY, a student client of yours... I have encountered a little problem with my banking recently. The problem occurred when I attempted to upgrade my Signature Visa to Avion Platinum Visa (the $120 one, not Visa platinum), since I had only $1500 limit, I could not upgrade it. I stopped by a RBC branch, only being told that I could not technically have >$1000 limit because I'm a student. But I believe I could be trusted with $5000 limit based on the following reasons:1. American Express has already approved a Platinum Card to me. As you may be aware of, this card is a charge card, meaning it does not have a limit and I am required to pay in full each month.2. Tangerine has approved me a MasterCard with $7000 limit.3. Till today, I have never had any form of late payments, nor even as much as only minimum payments — I always pay in full in time. You can check my credit files on that. For the reasons above, I think I am qualified for the Avion Platinum Visa. All I may need is a little push from you to boost up my credit limit. 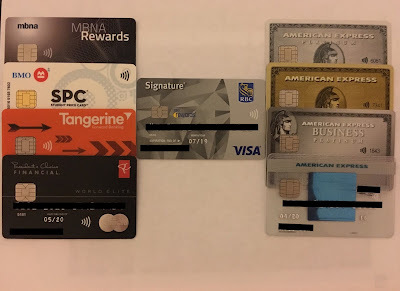 Of course, the reason I prefer an Avion card is because I'd prefer to use my RBC rewards points to British Airline, which the Signature could not offer me. Could you please do me a favor on this? I'll be waiting to hear from you. Hello YYYY, you make a well executed argument. I will see what I can do for you.